The 83rd Masters Tournament teed off this week in Augusta, Georgia and whilst most of the talk will be on whether Tiger Woods can roar his way back to glory, or if Rory McIlroy will finally complete his career Grand Slam, we’ve decided to answer the only question that really matters: who looks coolest on Instagram? We say / Style credentials: This cigar-chomping Spaniard is a legend on the green and rightly so. 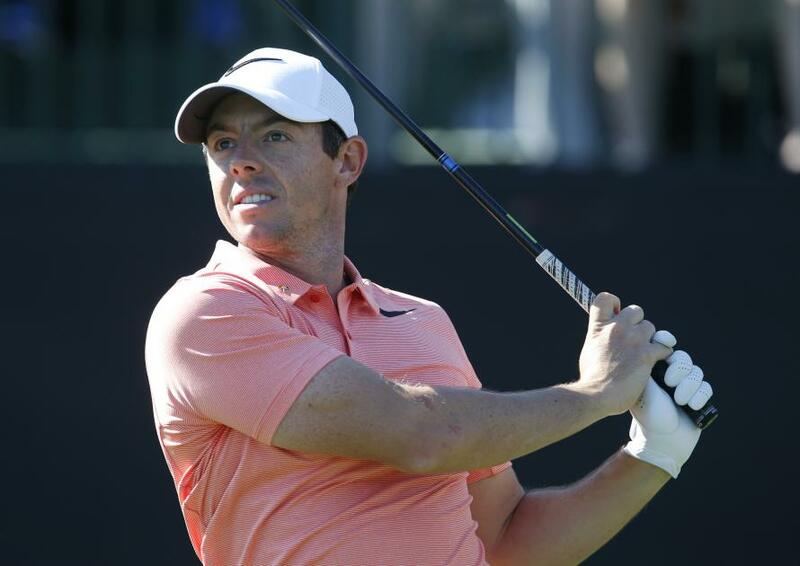 The 55-year-old is competing in his 37th consecutive year as a professional and though his physical attributes may have waned slightly over the years, he has become a testament to the idea that a good golfing brain can be as beneficial as a good swing. A firm fan favourite on the course, Jimenez has never had a problem playing to the crowd and even something as mundane as a pre-match warm-up stretch will quickly become an unmissable spectacle (sumo squats, knee-twirls, you name it, he’s doing it). The man from Malaga’s Instagram has more smoking cigars than a Tony Soprano appreciation page although he knows where to draw the line: Cigars during stretches? Most certainly. Cigars during competitive play? You’ve gone too far. That hair. Those shades. There’s only one Miguel Ángel Jiménez. TheSportsman style rating (6/5): Extra point awarded for quote about his wife. We say / Style credentials: Multiple wives, lawsuits and lots of booze, ‘Wild Thing’ John Daly is a true golfing maverick. The two-time major winner is something of an enigma and it’s sometimes it’s easy to forget all the great moments the big man has given golf fans over the years. From his shirtless interviews to hitting golf balls out of fan’s mouths and even providing back-up vocals on a Kid Rock track - you never really know what Jon Daly is going to do next. A quick flick through Daly’s Instagram page and you’ll see why the man is so beloved among fans. From pictures of female fans with his signature adorned on their buttocks to a video of a bikini contest at Hooters among his top posts, it’s clear ‘Long John’ enjoys the finer things in life. TheSportsman style rating (3/5): Loses points over history of losing his shirt. We say / Style credentials: Often regarded as ‘The Mad Scientist’, DeChambeau is the thinking man’s golfer and his stock is rising quickly. Now the 6th best player in the world, he’ll be looking to make an impact at Augusta this week. Always seen wearing his trademark Hogan hat (something that’s been his signature look since he was 13) he’s starting to receive a lot more press attention because of his more cerebral approach to golf. The ever-present cap might be the first sign that DeChambeau could be a little eccentric, even at just 25-years-old, but a quick scan through his Instagram account may confirm it. Posts include a Bentley painted a metallic green to reflect the famous Master’s jacket, private jets and even some of his own golfing science experiments. Bryson might not be for everyone but he’s doing his way and anyone who goes against the grain is pretty cool in our opinion. TheSportsman style rating (3/5): Needs to expand his hat collection. We say / Style credentials: Andrew Johnston seems like the sort of bloke who’d never bail on a round at the pub. ‘Beef’ as he’s affectionately known, has become a popular figure recently and with his stunning beard and permanently beaming smile, it’s not hard to see why. The man is quite literally always smiling. Honestly, if you’re ever feeling a bit down just have a gander through his Instagram feed and you’ll genuinely come out of the other side feeling much happier. He loves a dance (he even had a boogie with Jiménez after landing an eagle), is happy to sign autographs on fan’s beer bellies and once teed off with a hamburger to make it explode for a laugh. Watching the 30-year-old Brit on the course is a bit like watching your best mate and only the most stone-hearted amongst us would be unable to root for him. TheSportsman style rating (4/5): A loveable style icon for the everyday man. We say / Style credentials: Arguably the greatest of all-time and a 14-time Major winner, Tiger needs little introduction as his name has become synonymous with the sport, even to the most casual of fans. On paper he’s not the most exciting guy in the world, always appearing mild-mannered when interviewed, and he’s a far cry from some of the previous names on this list but he’s Tiger Woods!! If you're going to be any golfer, chances are he’s the guy you’re going to pick. After a 23-year-old pro career and a net-worth said to be a staggering $740 million, Tiger is living his best life. Celebrity friends, Rolexes and his own yacht make a lot of appearances on his Instagram and with 1.5 million followers on the platform, he is far and away golf’s most popular figure and that’s unlikely to change any time soon. TheSportsman style rating (3/5): Dependency on Nike polo shirts lets him down.